A Bangkok private investigator represents the standard for detective professionals in the Southeast Asian Kingdom of Thailand. Bangkok has a tough reputation, but it is a metropolis like most other major cities in the world. Native Thai citizens, foreign expatriates and international clients all require detective work in Bangkok, just like anywhere else. Even though some of the case assignments may be rather colorful, the majority are simple matters of basic intelligence gathering, fulfilling the clients’ needs completely and safely in this Southeast Asian capital. This report examines the investigation sector in Bangkok, Thailand, including the types of specialty services which may be available. Bangkok is the business center of the entire Kingdom of Thailand and influences much of Southeast Asia. There are many foreign-owned companies doing business here and there is a great demand for quality investigation services geared towards a corporate clientele. There is also the demand for the usual investigation cases, including infidelity assignments, criminal matters and insurance fraud, along with every other type of case profile seen anywhere else. The type of assignment which is truly unique and commonplace in Thailand is the many bargirl investigations commenced by foreigners to watch their part-time prostitute girlfriends while they are away from the Kingdom back home in Europe or the US. Many private detectives have longed to live and work in Bangkok after falling in love with the city during pleasure travels or business journeys. While this is a dream for some, the reality has turned out to be a nightmare for many. Only a few talented and thick skinned professional detectives have founded lasting and successful detective agencies in Thailand and these are well known. The rest either failed in their attempts or died trying: literally. Thai investigation agencies are also available to deal with native-born Thai clients, but rarely do these companies have dealings with foreign customers, unless the client is fluent in Thai (or Lao) and requires a native born investigator for their particular case matter. 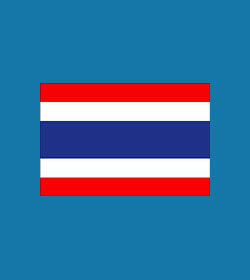 Even then, most expat detectives employ mostly, if not exclusively, Thai nationals for the majority of their workforce. Bangkok is rapidly expanding in size and economic development as Thailand struggles to improve itself in the new Millennium. Long gone are many of the old ways of the city and new real estate and business ventures are now defining the cityscape from end to end. If you are one of the many who want a piece of the new Bangkok, there may be some hassles along the way which require professional investigative help. Foreigners are justifiably treated as undesirables in many aspects of Thai society and those who are trying to run business ventures have an uphill battle ahead of them. In order to protect yourself and your investments, whatever they may be, consider hiring a trustworthy professional investigator who can help you out in Thailand, Laos or Cambodia.